Dr. Erno Laszlo was a pioneer in skincare. In 1925, the Hungary-born dermatologist healed Hungary’s Princess Stephanie’s acute acne. In the process, he became the first to develop products for acne-prone skin. The master of medicine went on to perfect the world’s most coveted complexions from Europe to Hollywood before bringing his bespoke skincare philosophy to New York City in 1927. There, he introduced his storied clients — from Greta Garbo and Jacki O. to Audrey Hepburn and Marilyn Monroe — to his brand’s customized approach to skincare. Over recent years, the “internet famous phenomenon” has taken China by storm and with it, a $10 billion economy was born. Traditionally, Chinese consumers have often turned to celebrities to help guide their purchasing decisions, which is why you’ll see both homegrown and international stars endorsing everything from fast food to cosmetics. Recently, however, household names from movies, sports, and entertainment have started to be replaced by the rise of the internet celebrity. For consumers, Chinese internet celebrities are seen as more approachable, down to earth, and less corporate, so many followers see their advice as more honest and sincere. As a result, many of these internet celebs have actively harnessed the power of their endorsements; many have even created highly successful eCommerce businesses off of the backs of their celebrities. Furthermore, as Chinese immigration in North America has boomed over recent years, these same internet celebrities are seeking out the opportunity to exert their influence abroad. 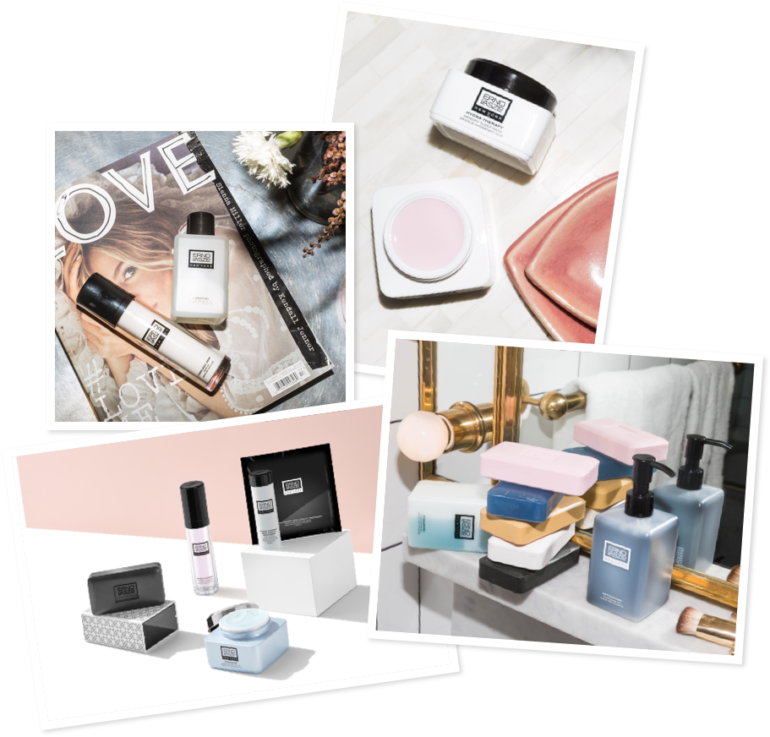 The Erno Laszlo brand approached Sheng Li Digital to help increase brand awareness and sales among Chinese consumers in Canada. This case study showcases how our agency utilized Chinese KOLs and beauty influencers at offline events to promote the brand. When Erno Laszlo first reached out, they didn’t have a WeChat account or a Weibo account, and the brand lacked presence and awareness among Chinese consumers in Canada. While Sheng Li utilized a mix of channels such as Google Ads, Facebook, Instagram, and direct media buy, a significant pillar of the strategy was working with beauty and fashion influencers. Sheng Li recognized that Chinese social influencers were key to increase brand awareness and offline sales. We crafted a branded collaboration with prominent beauty blogger Emma, who created an honest product review for Erno Laszlo. In her video, Emma reviewed many of Erno Laszlo’s hero products and gave her own feedback and recommendations. The video was 100% uncut to ensure the authenticity of her reviews. The video was an immediate success for Erno Laszlo. To date, it has amassed 61,000 views, over 1,000 likes, and 196 comments. Many comments included praise for the Erno Laszlo brand as well as “种草了“ or being sold on the products. On the retail front, there were also numerous cases of Chinese consumers heading to Erno Laszlo counters, phones in hand showing Emma’s video and requesting the specific products she recommended. Following the video’s success, it was evident that collaborations with the right Chinese internet celebrities are an effective marketing channel for Erno Laszlo. To amplify the impact of these influencers, Sheng Li worked with Erno Laszlo to take this collaboration to the next level by executing an offline VIP beauty panel event. The beauty event invited three prominent Chinese beauty influencers. They were all based in Toronto, Canada and chosen for their expertise in beauty and fashion. Each individual brought a different personality and perspective to the event and helped expose Erno Laszlo to different types of Chinese audiences. One influencer, Regina, was primarily active on YouTube and was known for her quirky and down-to-earth style. Another, Shasha, who was chosen had hundreds of thousands of active followers on Instagram — a legion of fans that both admired and inquired about her beauty. A third influencer, Joanna, was known for her skilled makeup techniques and had an army of followers who regularly tuned in for her engaging makeup tutorial videos. The influencers were asked to share the event through their networks and to invite 15 lucky fans each to attend. One prepared a product review video on YouTube, another penned a detailed review on her WeChat subscription account, and the third posted the event details on Instagram. Overall, there were several hundred entries for a chance to attend and ultimately 50 lucky guests were selected to go to the event. Left: Regina with a fan. Right: Beauty influencers Regina, Shasha, and Joanna. The content posted by influencers generated more than 20,000 views on YouTube, 10,000 likes on Instagram, and 5,000 reads on WeChat. The event was further amplified by media buys which aggregated 30,000 views on WeChat. In addition to all the paid impressions, the event also created high-quality organic impressions as all 50 attendees actively shared to their own social media channels throughout the event. Many attendees bought products after the event. There was also a boost in engagement across the company’s social channels, including a 20% growth in Erno Laszlo’s WeChat account. The influencers also helped to validate the company within North America’s growing Chinese expat community, giving Erno Laszlo a foothold in an entirely new sector of the market.